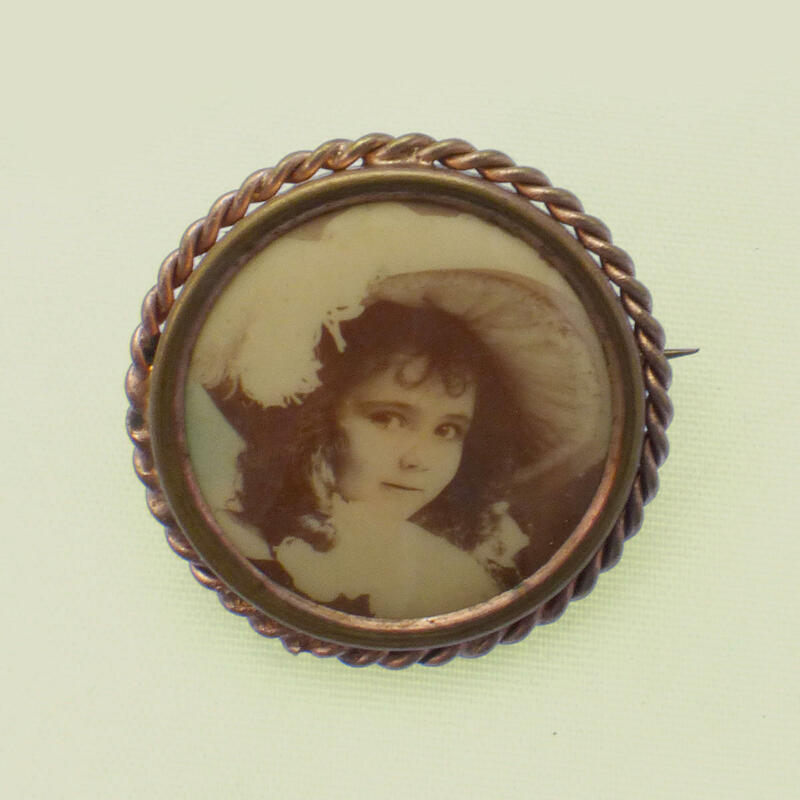 Twisted rope frame brooch set with an exceptionally pretty original Edwardian photograph of a very young lady in a 'portrait' hat. The hat is set with ostrich feathers and her dark hair set in curls. The photograph is sepia toned with some hand tinting, and sealed behind an enamel layer. Simple 'c'c clasp. Fairings brooches like this were made by their thousands to be sold at markets, seaside resorts and fairs - your picture could be taken in the morning - and later in the day you could have it set in the brooch or frame of your choice. 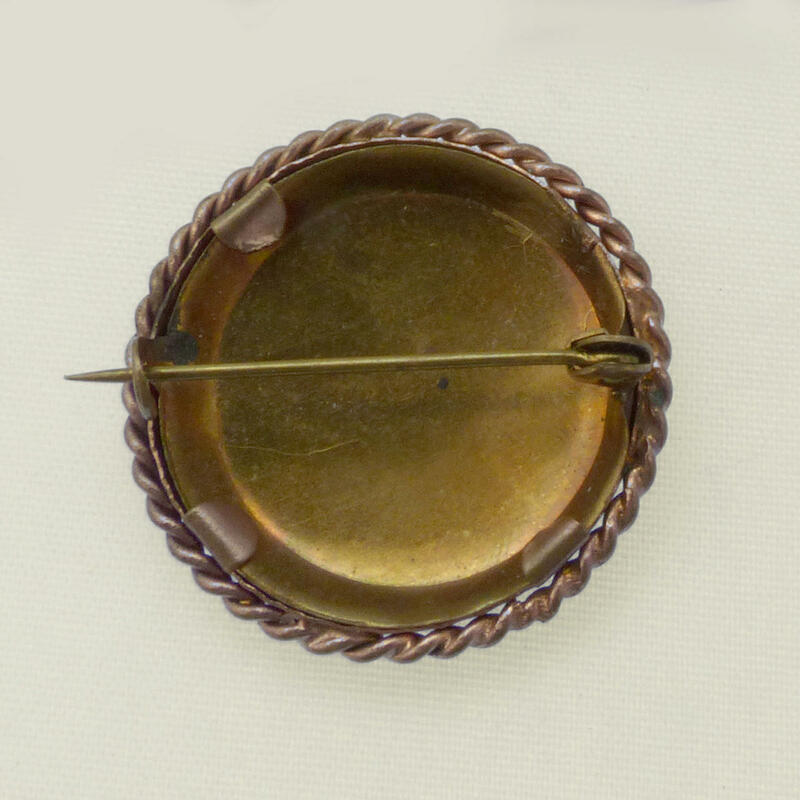 Ready made brooches like this were also hugely popular, but very few survive.